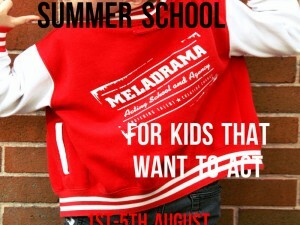 This summer we are offering a week long intensive acting school for kids that are serious about acting. It takes a lot more than talent to work as a professional actor – and that goes for the kids too. The week long course will run as a professional drama school, with physical and vocal warm ups every morning followed by study of different theatre and film styles, and plays, film and TV scripts. Audition technique, confidence building, how to learn lines, and work on CV’s and how to take a good head shot will be explored. Students will be directed in a monologue and a group piece, and the week will end with a showcase of the students work for parents and friends. Those that give permission will have their work professionally filmed and uploaded to our YouTube channel. All students will receive a certificate for their Record Of Achievement and an information booklet containing all the work they have done during the week, including scripts, infromation about further study, finding an agent and all the stuff every young actor needs to know. The course will be run by TV actor Melanie Ash with help from industry professionals. £15/day or £70 for the week. For more information contact Mel on 07789004062. Please note this summer school is for those children that either already work in TV and film or are pursuing a career in acting.